My kiddos are on spring break this week. We've been planning for months to take a four state road trip to scout out colleges for Miss M but as it turns out, she really didn't want to go. And, with blowing snowing in Wyoming and a lack of desire, it was just best to cancel. Little Jet found the idea in a kids book she checked out from the library - I can't remember the name of the book. It had some other cute food crafts in it, too. For this project we didn't follow the directions in the book. They called for other ingredients that we didn't have but the visual idea was good and sparked some imagination. So we tweaked the idea to make it our own and this is what we came up with. 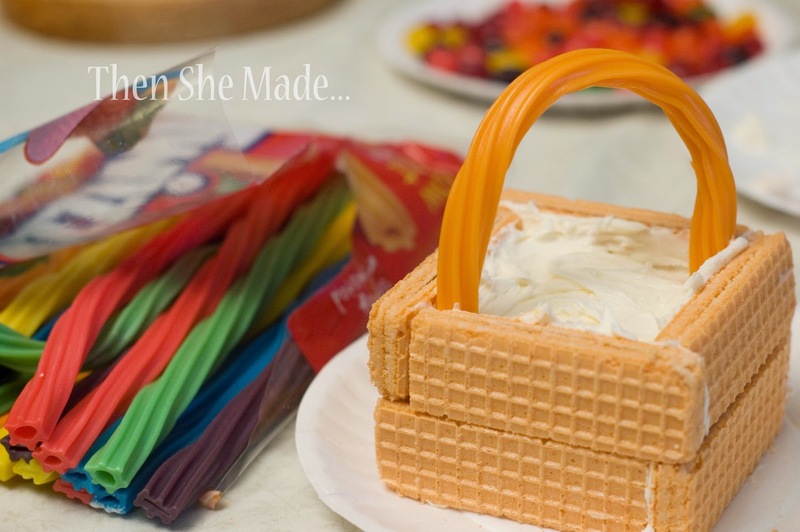 These little basket are pretty easy to make and honestly they are fun for kids to make because after some simple instructions, they can dive in and make their own with very little help. 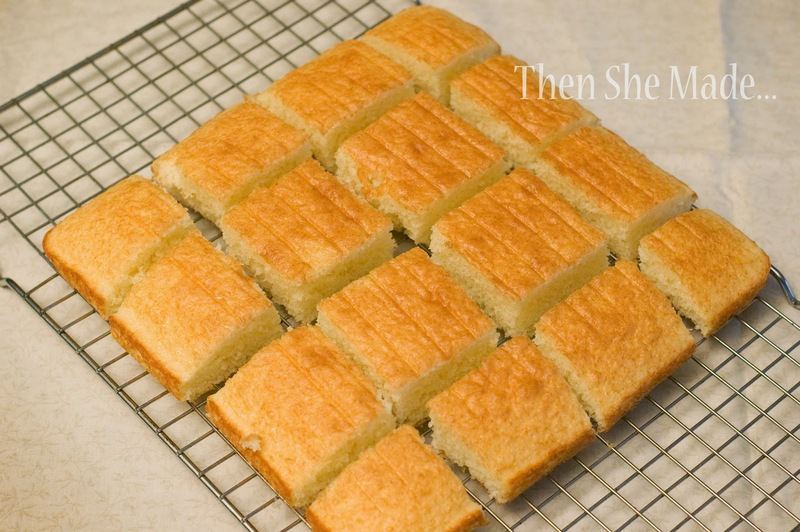 A sheet cake - I just used a box cake mix and split the batter between a 9x13 and an 8x8 pan. You don't want the cake super tall, that's why I split it. 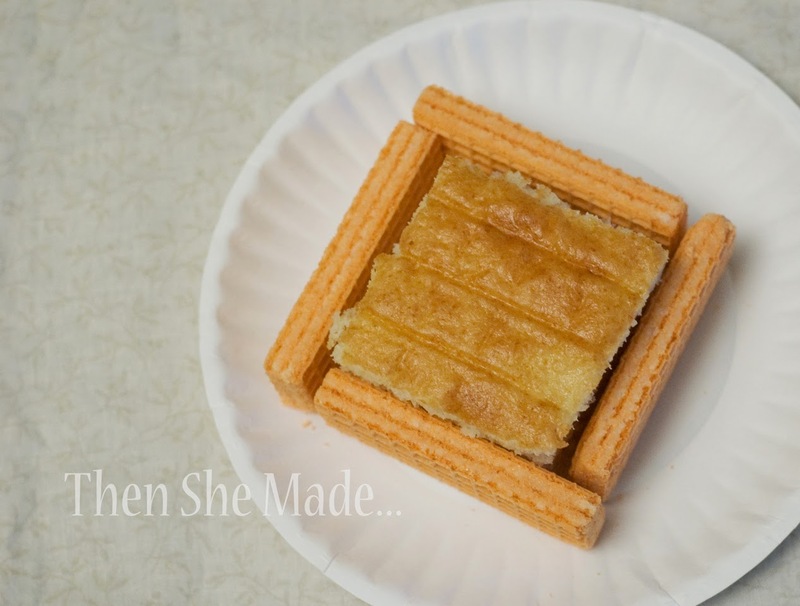 Then, depending on the length of your waffle cookies, you want to cut it into squares. For mine I cut them into 2 inch squares and that was just about perfect. It will make more sense below so keep reading. 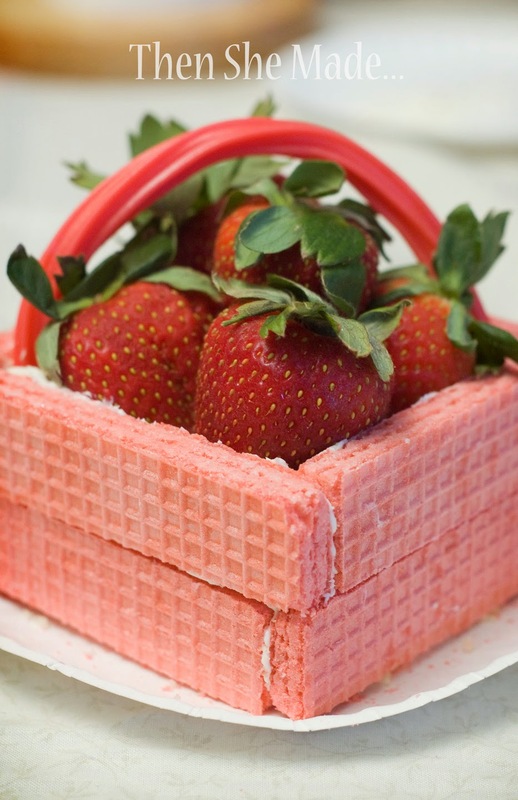 Step 1 - The first thing you want to do is place a square of cake in the center of your plate. Step 5 - Fill the basket with treats. 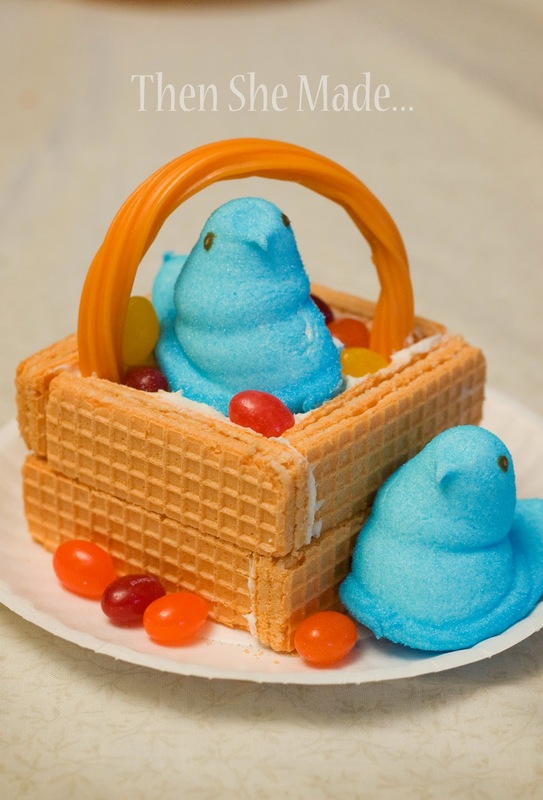 We used Peeps and Jelly beans and the photo below shows a basket I made filled with strawberries. Other fruit would have worked great too. 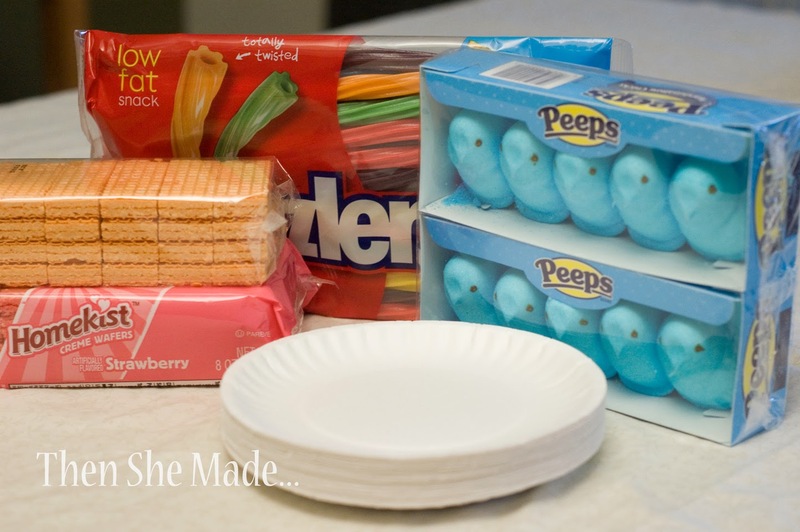 Quick Tips: We noticed that the frosting tends to make the wafers warp a little. Make sure if you are making these to give away that you deliver them soon after they are made. Another fun thing to do is let the kiddos be creative. My little Bug decided to make a Hen House too. 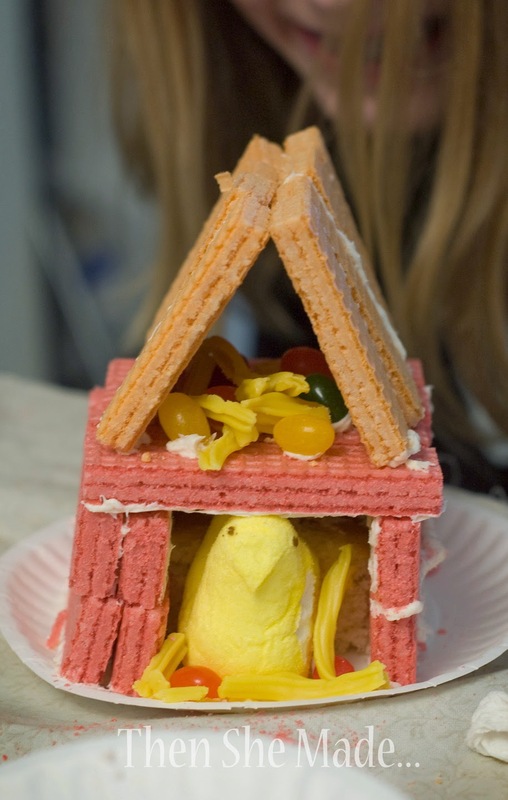 It's quite cute and is like a gingerbread house but for spring. Quite perfect for the first day of Spring don't ya think?! Love it, pinned it, gonna try it with my son. Thanks!